Please join Women & Hi Tech for our biennial Spring Networking Event on May 15, 2019 from 12-4pm at the Indianapolis Motor Speedway (IMS). IMS Leadership will welcome Women & Hi Tech during lunch served from 12pm-2pm. Women & Hi Tech guests may experience racing practice runs, behind the scene tours, IMS garage passes, and/or networking while enjoying food, snacks, beverages, and spirits during the afternoon. Dress code for the event is business casual, unless you plan to visit the garages, where no shorts or open-toed shoes are allowed. This year, in honor of Women & Hi Tech’s 20th Anniversary, we plan to flood the IMS with 200 attendees…our biggest networking event ever! Accordingly, paid event registration also provides you with a fashionable Women & Hi Tech t-shirt* that we highly encourage everyone to wear to the track, ensuring Women & Hi Tech is visually represented all over the IMS that day! Bring a friend or two and come out for an afternoon of food, fun, and networking with Women & Hi Tech as the IMS gears up for Indy 500. Please register early! This event is open to Women & Hi Tech members and non-members, and will sell out! Registration closes on May 7, 2019 or once capacity is reached. PLEASE NOTE THE FOLLOWING BEFORE REGISTRATION: Paper IMS tickets and paraphernalia required for IMS entry, logistic instructions for parking at the event, and Women & Hi Tech t-shirts will ONLY be available for in-person pick up from 4-6pm in the lobby of Barnes & Thornburg LLP (11 S. Meridian St, 46204) on May 8 and 9, 2019. Please mark your calendars and arrange for your IMS MATERIALS to be retrieved by you or a designated proxy during the designated times. *T-shirts will only be provided to members and non-members who have not previously received one via other Women & Hi Tech events or programs. Requested t-shirt sizes cannot be guaranteed and will be available on first-come, first-served basis while supplies last. INBADD is an annual full-day conference hosted by the Central Indiana IIBA chapter which provides development and networking opportunities to Business Analysts and their Managers, Project Managers, and Business Architects. You do not need to be a member of the Central Indiana IIBA chapter in order to attend. This year represents Women & Hi Tech’s 20th year of successfully effecting change to advance women in STEM in Indiana, so we are “Celebrating Our Past and Investing in Our Future” throughout 2019. The Women & Hi Tech 20th Anniversary Celebration Event will be held on Friday, August 16, 2019 from 6-11pm at The Willows on Westfield. During this event, we will celebrate our past 20 years by highlighting Women & Hi Tech members who have advanced the cause and careers of women in STEM in Indiana through their contributions to Women & Hi Tech. We will also invest in our future through our “#WHT20for20” campaign by awarding $20,000 in scholarships/grants to women pursuing degrees in STEM in Indiana, who intend to stay in Indiana upon graduation. This event is a celebration! Business/cocktail attire is appropriate. A full dinner, dessert, drinks, a cash bar, and a DJ/live band will be provided. Tribute to Women & Hi Tech’s 20 year history of impact for women in STEM in Indiana. “#WHT20for20” scholarship/grant award presentations to female STEM recipients. Registration for the 20th Anniversary Celebration Event will be open soon. Scholarship/grant application period is open from March 20-June 1, 2019. Click here to apply for a graduate or undergraduate scholarship. Click here to apply for a professional development grant. (1) $5,000 scholarship will be awarded to the overall top graduate or undergraduate female STEM student as determined by the selection committee. (1) $2,500 scholarship will be awarded to an amazing graduate female STEM student as determined by the selection committee. (1) $2,500 scholarship will be awarded to an outstanding undergraduate female STEM student as determined by the selection committee. (2) $2,000 grants will be awarded to extraordinary professional development female applicants as determined by the selection committee. (3) $2,000 scholarships and/or grants will be awarded to one or more graduate, undergraduate, and/or professional development applicants as determined by the selection committee. The #WHT20for20 campaign will also be sponsored by Women & Hi Tech Partners to support women pursuing specific fields of interest (e.g., cybersecurity, patent/corporate law, entrepreneurship, etc.). Applicants interested in the following Women & Hi Tech Partner Scholarships should fill out and submit the graduate or undergraduate scholarship form above indicating: 1) the Women & Hi Tech Partner Scholarship they are applying for and 2) any additional information relevant to the selection committee for that particular field of interest. (1) $1000 Pondurance scholarship will be awarded to the overall top graduate or undergraduate female STEM student pursuing Cybersecurity as determined by the selection committee. (1) $2000 Barnes & Thornburg LLP scholarship will be awarded to the overall top female law student studying Patent or Corporate Law as determined by the selection committee. Thank you to our amazing sponsors! If your organization is interested in sponsorship opportunities, including sponsoring scholarships, please contact our Corporate Engagement Director, Rebecca Bormann, at corpsponsor@womenandhitech.org. Volunteer signup for the 20th Anniversary Celebration Event will be online soon. SQLSaturday - Indianapolis is a training event for data professionals or those who want to learn about getting started as a data professional. Everyone from far and wide is welcome to attend to learn new skills and make new connections. There are sessions available for every skill level. Admittance to this event is free, but they do charge $12.00 for an optional lunch that will not be pizza! However, you're welcome to bring your own lunch. At the event, Women & Hi Tech will be awarding (2) FREE one-year memberships. Scheduled for August 22, 2019, the 3rd Annual Ignite Your Superpower (IYS) is an event for middle-school girls to discover more about Science, Technology, Engineering and Math (STEM) through participation in hands-on experiences, interactions with female role-models and fun-filled learning on a college campus. This event is not open to the general public. More than 600 students will be joining us at Indiana University - Purdue University Indianapolis (IUPUI) from central Indiana schools. We are again seeking Superheroes to volunteer to spend the day chaperoning small groups of the 600 students around the exhibits, presentations, lunch and campus exploration activities. Register now to be a Superhero! 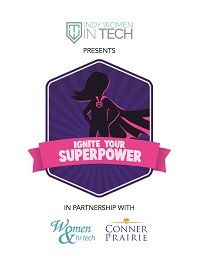 Ignite Your Superpower is presented by Indy Women in Tech through a partnership with Women & Hi Tech and Conner Prairie. Network with Women & Hi Tech members, relax, reenergize, and have fun at French Lick Resort! Retreat schedule coming soon! 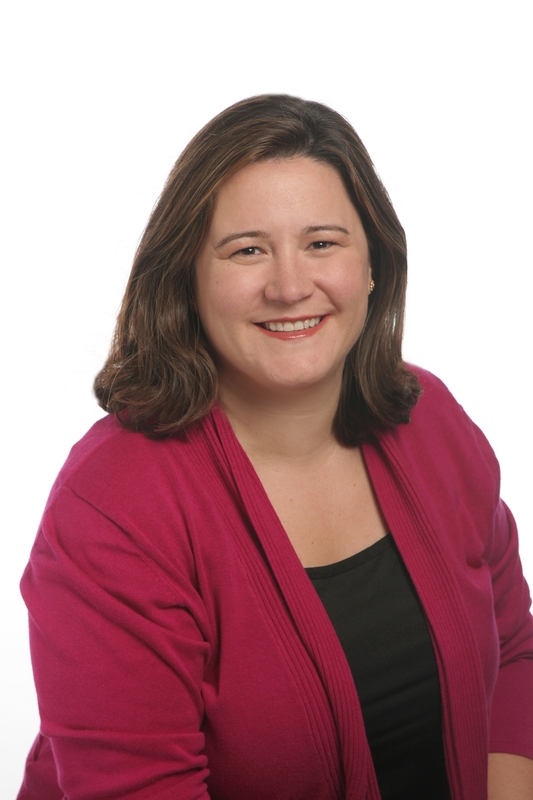 Paula López Reck is a Principal at Isani Consulting, providing strategic marketing and market research consulting services to pharmaceutical and biotechnology companies. She is passionate about effectively integrating customer insights into every aspect of marketing. She has over 18 years of experience in brand marketing and market research. Before starting Isani in 2012, Paula worked for Eli Lilly & Company for 10 years where she led large teams in various global and affiliate positions. Drawing from the combined experiences moderating and listening behind the glass as a marketer, Paula brings a unique set of skills to her projects. At Isani, she has led thousands of interviews in English and Spanish across many disease states to support global commercialization of blockbuster medications and orphan status treatments in rare diseases. Paula began her career as a bench scientist after studying biochemistry at the University of Notre Dame and went on to earn her MBA from Indiana University. Throughout her career Paula has also actively mentored others going through a career change or wanting to advance within the marketing discipline. She is a strong believer in maintaining an authentic network of peers which she relies on personally and professionally. On the personal side, Paula was born in Spain and split her childhood between Madrid and Florida before coming to Indiana for college. Here, she married to Tom and had 2 kids – Isabel (16) and Nicolas (14). Now she lives in the Seattle area and, when not working, you will find her outdoors, either playing in the water, skiing or hiking with her family, friends or loyal dog, Marley. 08/22/2017 Executive Women's Forum - Trends and Transitions - How companies and individuals are evolving with the rise of the information age. 06/06/2017 Executive Women's Forum - Operational Intelligence - Manufacturing, IoT and Advanced Analytics, Oh My! 04/16/2015 Executive Women's Forum - This is NOT the Career I Ordered! 05/14/2014 Executive Women's Forum - What do mermaids, unicorns and work-life balance have in common? We’d like to thank our friends at TechPoint for helping us in our mission to promote Women & Hi Tech. Stay in touch with TechPoint by subscribing to their weekly tech news email to learn more about Indiana tech companies, jobs, people and events.